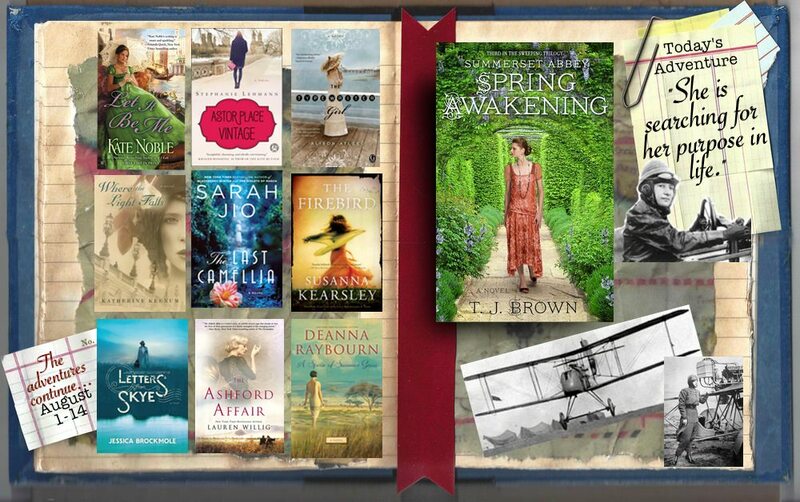 The 10 Great Authors, 10 Unforgettable Adventures giveaway continues today with T.J. Brown. With every post between August 1 and August 13, you can register to win this book and the grand prize of all 10 books. We’ll announce winners on August 14. You may enter today’s giveaway and the grand prize at T.J.’s blog, http://teribrownbooks.com/tjblog/. You’ll find links to all the authors below–follow any of them to keep up with the latest adventures. Helene Dutrieu flew reconnaissance flights from Paris to check on German troop movements. Marie Marvingt flew bombing missions over Germany and was probably the first women to fly actual combat missions. Russia had several such daring aviatrixes: Princess Eugenie M. Shakovskaya, Helen P. Samsonova, Princess Sophie A. Dolgorukaya and Nadeshda Degtereva all flew during the war, though in different capacities. It’s important to remember just what a fledging science aircraft actually was. For the first two years of WWI, the average life expectancy for pilots was 10-15 days to three weeks due to the rushed training and the rapid increase of the quality of German planes. In Summerset Abbey: Spring Awakening, Rowena volunteers to transport newly built aeroplanes, as well as flying key officials, to various military bases. When the series begins, Rowena is diffident and a bit lost. She is searching for her purpose in life. When she takes to the air for the first time as a passenger, she knows immediately that she has found it. Flying becomes her passion and she does most of her growing as a character while in the air. Volunteering for the war effort gives her adventurous spirit an outlet and changes her outlook on life.